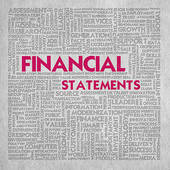 Financial statements contain an enormous amount of valuable information with respect to a company’s financial position, the success of their operations and provides a clear insight of their future potential. They help investors make effective decisions because they answer such questions as: (a) would an investment yield an attractive return; (b) what is the level of risk they pose; (c) should existing inventory be liquidated, and (d) are cash flows sufficient to support the firm’s borrowing needs. For example, because of changes in the economy as well as advances in technology in how music products are now marketed and sold, someone looking to invest in a record company like the one I used to work at, Capitol-EMI Records (CER), would look to the financial statements of their annual report to help them determine how well the company is performing. In it’s hey day, CER was considered a prestigious primary market record label that is still recognized worldwide today. It is part of the EMI Music Group and is a subsidiary of the Universal Music Group. The company was founded in 1942 by American lyricist, songwriter, and recording artist Johnny Mercer, who wrote the famous lyrics to Henry Mancini’s Moon River that later went on to become the trademark song for singer Andy Williams (The Johnny Mercer Research Guide, 2012). Throughout the years, CER has consisted of an impressive artist roster including such mega stars of the past like The Beatles, Kenny Rogers, David Bowie, Tina Turner, Bob Seger, as well as the giants of today like Katy Perry and Coldplay. In the global marketplace, CER distributes a wide genre of music including, pop, rock, classical, jazz, R&B, and hip-hop through various sister labels. With offices around the globe, the Capitol Records Tower in Hollywood, California is their most famous landmark. Investors that are looking to figure out how well the company is performing today would seek answers from the company’s annual report. Friedlob and Welton (2008) explain that the key to comprehending any annual report is understanding that they are developed to help satisfy the many needs of a variety of different people including shareholders, creditors, potential shareholders and creditors, as well as economists, financial analysts, and suppliers (Friedlob & Welton, 2008). EMI’s Annual Report provides information that discloses how well the company is performing, their financial condition, and where the company is headed. Fraser and Ormiston (2010) purport that segmenting the financial information helps direct individuals to the data that is relevant to them (Fraser & Ormiston, 2010). For example, a creditor may want to peruse the cash flow statements to gain insight into the company’s liquidity. The Consolidated Financial Statements however, would be useful to investors because they provide details on all the company’s financial branches that reveal the true nature of their net worth. Any person therefore, looking to invest in the Capitol-EMI family, would need to take into consideration the information provided from these consolidated statements. They are important documents that will help investors decipher how well all of the company’s affiliates are performing to give them a clearer a picture of its net worth.